If you are looking for a new duvet set, sheets or pillowcases, you are sure to find what you need in the range offered here. Choose from crisp fresh cotton percale, warm and cosy flannel sheets or, for a touch of luxury, opt for the Evesham collection, which contains super soft cashmere. Find great discounts on attractive home accessories like photo frames, clocks, lanterns, candle and tea light holders, vases, fairy lights, Christmas decorations and so much more to help make your house feel like home. Where do I use my The White Company voucher code? 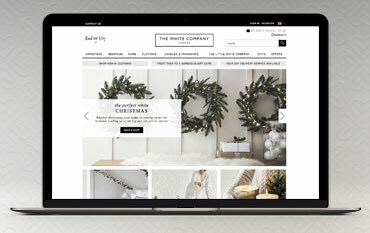 Follow the link to the White Company website. When you’re ready, click ‘checkout’ at the top right of the page. Check that your order includes everything you need to receive your copied discount. In the ‘Shopping Code’ section, enter your code into the box and click ‘Apply Code’. The discount will be added to your order total straight away. The White Company has been creating impeccable, good quality products and simple white designs for years, adding a touch of class and elegance to your home, wardrobe and interiors. Shop for bedding, bedroom furniture, home interiors and furnishings, candles, fragrance, skincare and beauty products as well as clothing for you and your kids, all made with delicate designs and bright white fabric at The White Company. Whether you’re looking for precious baby clothes for a newborn, an elegant white dress for a wedding or the nicest, white bed linen for your bedroom, you can find it all online at The White Company for an affordable price. As well as a selection of great products you can also browse through buying guides, style ideas and inspiration to help you add some finesse to your lifestyle. You can also shop via collections and use the handy size charts to ensure you have the perfect fitting outfit. And if this wasn’t enough you can also browse great sale sections, gift ideas and collections and seasonal categories that are added to the homepage throughout the year. The White Company was founded by Chrissie Rucker 21 years ago because she was frustrated by the lack of good quality bed linen on the market. Her ‘principally white’ aesthetic now covers everything from homewares to childrenswear in-store and online at The White Company. From cashmere jumpers to heritage inspired parkas, you can discover classic components that’ll add sophistication and flair to your everyday style and wardrobe at The White Company. Shop for stylish nightwear and robes, tops, trousers, cardigans and dresses that’ll bring effortless style to every occasion. You can even find a plethora of clothing for kids, with everything from baby grows to nightwear to cute coats and jackets. Every season there’s new clothing added so you can be sure to always keep on trend. And with a handy buying guide, you’ll never be stuck for inspiration on what to add next to yours and your kids’ fashion collection. Give your home an atmospheric lift with The White Company’s bespoke range of candles and fragrances. Browse through a selection of scented candles, diffusers and home sprays or spoil someone with a beautifully scented bath and body gift set or shower gel, soap and body lotion. As well as home fragrance, bath and body care, skincare and fragrance collections you can shop from the 'new in' category, limited edition collections and a sale section. You can also browse the style ideas and inspiration section to discover seasonal edits, icon collections and the story behind The White Company’s fragrance section. Standard delivery: £4.95 / Free when you spend £50 - Delivered within 3-5 days, delivered Monday-Saturday (excluding bank or public holidays). Next day delivery: £7.95 - Order by 4pm for next day delivery, delivered Monday-Friday (excluding bank or public holidays). Collect+: £4.95 / Free when you spend £50 - Order by 4pm for collection next day, delivered Monday-Saturday (excluding bank or public holidays). The White Company want you to be delighted with your purchase but if you are not you can return any item within 30 days of receipt as long as it is unused and in its original packaging. Find your nearest store’s details and opening times with the store locator. Call: 020 375 89 222 (UK) or 0044 2037 589 222 (OUTSIDE OF UK) - Monday to Friday 8am to 10pm/ Saturday 9am to 5pm/ Sunday & Bank Holidays 10am to 4pm. Write: Customer Services, The White Company, 1 Derry Street, High Street Kensington, London W8 5HY. Give your home a clean and fresh aesthetic with furniture, bedroom and bathroom accessories and candles from The White Company. You can even fill yours and your little one’s wardrobes with sophisticated clothing and enjoy sweet fragrances and gifts when you shop online. The White Company’s pure and simple philosophy will help bring sophistication and luxury to every setting in your home. And when you shop with a The White Company discount code, you can keep your day to day life refreshed with everything from crisp bed-sheets to t-shirts and chic essentials for less. We are constantly on the hunt for first order Promotional Codes for The White Company to help you with your money saving. Our experts check dozens of sites for secret codes including NHS discounts, student sites & social media channels saving you time & money!